For three decades Hotel “Uzbekistan” has been cordially accepting visitors from all over the world, demonstrating a combination of high quality services along with Eastern hospitality. Hotel architecture characterizes a blend of European and Eastern styles. It is one of the most reputable buildings in Tashkent. Architecture of the hotel combines tradition and modernity of European and Oriental styles. 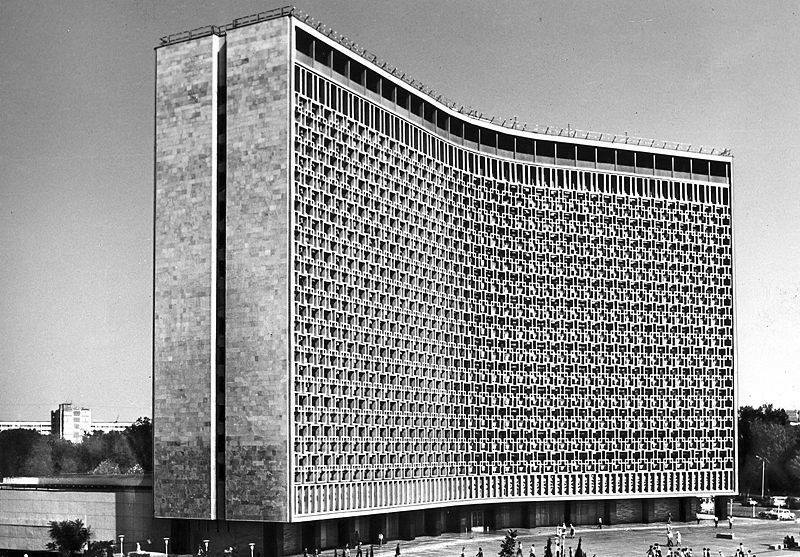 This is one of the most respectable buildings in Tashkent. Hotel “Uzbekistan” is situated in business centre of the city, by metro station “Amir Temur”. It is 10 km away from International Airport, 7 km away from Northern Railway Station and 12 km away from Southern Railway Station.